Each torpedo is almost a tiny airship by itself, with a steam-driven propeller and a Suspendium chamber. And on impact, its explosive payload is so great as to punch even through the strongest armour. 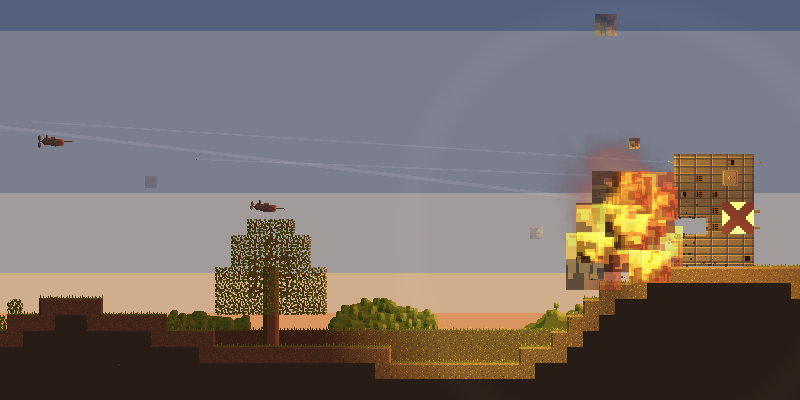 Airships v8.2 will add a new weapon to your arsenal: aerial torpedoes. 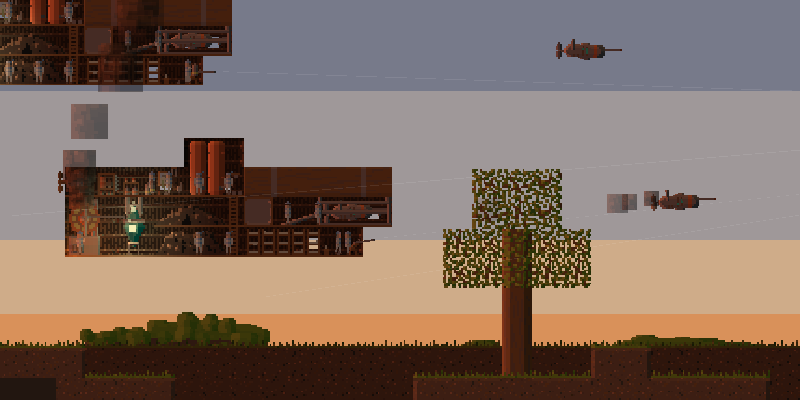 Each torpedo is almost a tiny airship by itself, with a steam-driven propeller and a Suspendium chamber. And on impact, its explosive payload is so great as to punch even through the strongest armour. Of course, for reasons of balance, this means they have a number of disadvantages too: a slow firing rate and a very narrow fire arc. And compared to cannonballs - that do their damage by slamming into stuff really fast - torpedoes have a very leisurely pace. Nor do they have a guidance system, so if you move out of their way, they will fly past and harmlessly explode in midair. This makes them mostly suitable for action against buildings, landships, and large, slow airships. There is one more limitation. While developing this new weapon, I realized that most of its disadvantages would be negated if you fired them from very close, giving your opponent no time to dodge. But usefully, real-world naval torpedoes have a minimum range. They are inert immediately after firing, and only arm themselves after a little while, to make sure they don’t accidentally get triggered by the ship that fired them. (If you've watched The Hunt for Red October, you know this.) Adding a minimum range to the aerial torpedoes makes them more like their real-life counterpart, and also makes them more balanced. If you want to use them in strategic conquest mode, pick the mullet (six-pointed star) charge for your coat of arms. An early boost to your ability to take down defensive buildings. 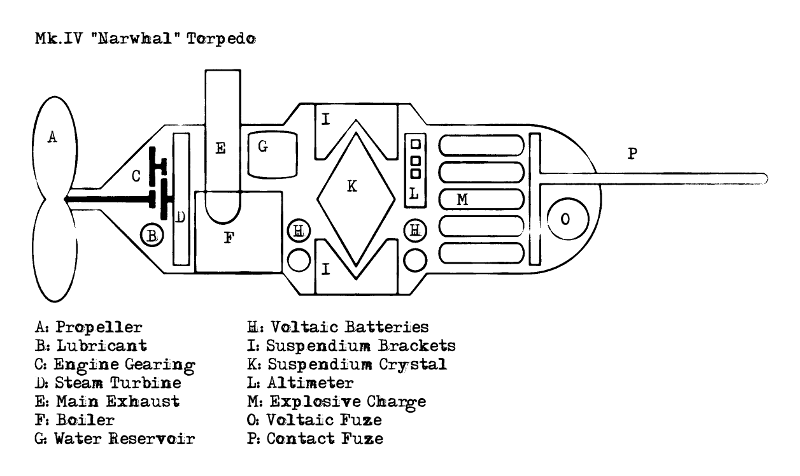 The word "torpedo" originally referred to stationary mines, rather than self-propelled warheads. "Damn the torpedoes, full speed ahead", actually referred to mines. The Mark-14 Torpedo used by the US Navy through most of World War II was infamously unreliable. In particular, the warhead tended not to detonate when hitting the target’s hull straight on. Since this was considered the “best” way of hitting the target, the harder submarine crews tried to get the torpedo working, the more likely it was to fail. 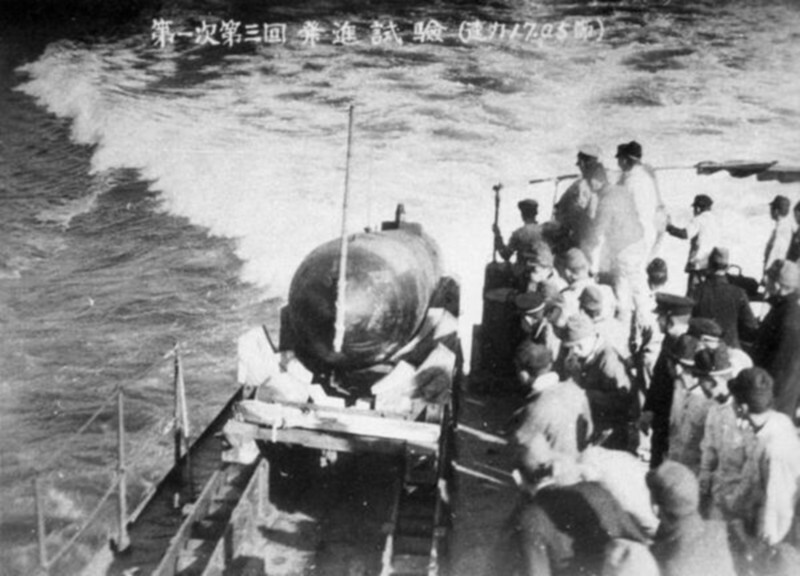 Also in World War II, Japan fielded human-guided torpedoes, an underwater version of the better-known Kamikaze planes. While neither fate sounds pleasant, given the choice, I’d rather ride to my destruction in a plane than in a claustrophobic underwater metal tube, thank you very much. Finally, in the 60s, Russia developed a high-speed torpedo called Shkval, which is driven by rockets and creates a bubble of gas around itself to minimize drag. If this looks a bit like a funeral at sea, that’s because it pretty much is. Anyway, version 8.2 is currently in beta, and barring any surprises, should be out this weekend. Lol, fun little article. Learned something new! Thanks.